Okay, I'll admit it. When I initially heard that Hilary Duff was writing a YA book, I laughed in scorn. Why does every celebrity feel the need to put out a perfume, write a book, have their own reality TV show, or worse, a combination of all three? I dismissed the book from all consideration until earlier this summer when paroozing the library, I came across a pretty book with a nice purple flower on it and an interesting premise to boot. It wasn't until I turned the book over and saw Hilary's big old mug that I realized what I was doing and mentally gave myself a kick. The book went home with me anyways and was read in one day (at the beach!). So here's what went down. Clea (I giggled at this name several times, I don't know why) is the privileged daughter of a politician and a surgeon. Even though she is only a teenager, Clea works as a photojournalist, and in the book, notably travels to Rio de Janeiro to photograph the Carnival (ummm, jealous much?). It isn't until her father mysteriously disappears that she begins to notice a strange man in the background of all of her photographs. Is he a ghost? An angel? Clea sets out to find this man. Reincarnation is a heavy theme in this book, something that I absolutely LOVE to read about. 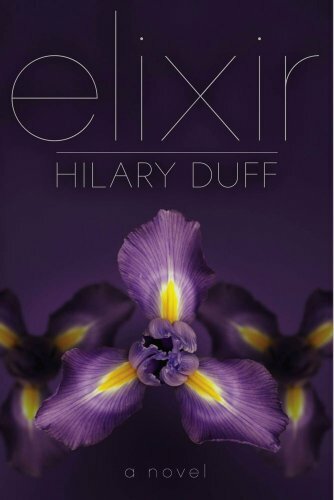 The plot is very interesting and well woven together; I was very impressed with Hilary Duff's writing and ability to develop characters. Truthfully, I almost put the book down a few pages in, since all we get are descriptions of Clea's fabulous lifestyle while she parties in Paris. Pushing past the rich-girl stuff was definitely worth it. I'm not a big reader of either YA, paranormal, or romance books, but it seems to me that the plot could be somewhat predictable and recycled, but I still enjoyed it. Props to Lizzie McGuire! I actually just finished this book last night and was pleasantly surprised as well. I really didnt like the ending though, so I only gave it 3(.5)stars. And it looks like the second book will follow the story further, which is both good and bad. I hoped for a different outcome. No Spoilers, but you might know what i mean. Rebecca, I totally agree with you. I also made sure Duff's book was off my to-read shelf. I take authors very seriously and have so much respect for them. I mean, they write so that I can be transported to a new world. Their writing is what makes a book amazing... not the story or the characters. It's the writing. Sometimes I feel like the author is my friend by the time I'm done reading. I think it is so selfish, and a true testament to Duff's character, that she refused to give credit where credit was due. Kelly, I'm really glad you enjoyed the book. :) The premise does sound interesting, and if it had been written by anybody else I'm sure I'd read it. I just won't read Elixir on principle. lol. One less reader is one less ego boost for Duff and her so-called "writing". I'm surprised the didn't make Hilary Duff's name super huge on the cover. The title actually stands out! I haven't read this and I probably won't (paranormal's not really my thing), but I am glad the ghostwriter was able to get her own book deal because of this stint. Her name is Elise Allen, and her book is called Populazzi. It's great that a great writer is able to make her own debut thanks in part to Hilary Duff's name. Wow, I didn't even know that Elise Allen was the ghostwriter! I see on goodreads that she is listed as a 'Contributor,' but I didn't really know what that meant. Huh. Looking back, I don't think this new knowledge changes my perception of the book, though it might have if I'd known beforehand. I think I'll give it a try. Luckily, I don't have any huge bias against Hillary Duff like I do say... Lindsey Lohan. Duff's not annoying, so I'll be willing to read it. The whole thing sounded a little far fetched for me but I was actually intrigued that Hillary Duff wrote it. Still haven't tried it though. Fantastic point about the ghostwriter, Rebecca. Haha, as soon as I saw Hillary Duff was "writing" a novel I was like, can we say ghostwriter? But I'm sure the ghostwriter did a great job. I downloaded this book for my Kindle awhile ago and still haven't gotten to it yet! I'm glad to hear that it's an okay book! I had the exact same initial reaction when I discovered this book at Borders while my friend was looking at a math book (it was a sign of how everyone at Borders has pretty much checked out. No one's putting anything back and the books are so scattered it's ridiculous) I read the plot out loud to him and was left a bit unsure if it would be interesting. After reading your thoughts I guess I'll give it a try someday. I read the book based on this review and have to say that I thoroughly enjoyed it! I was disappointed in the ending and some of the transitions were pretty stilted, but it was fun, and I'll definitely read the next one. Thanks for the recommendation!